These​ refrigerator asparagus pickles have a much lighter flavor than canned asparagus pickles (which are much heavier on the vinegar). They are ready to eat in just a few days, but if you can manage to wait a week or two they will be even better. Optional ingredients include grape leaves, which provide tannins and enzymes that help keep the asparagus crisp. Adding a lemon slice will increase the acid level slightly and makes the jar more attractive (great for that social media post!). If you like your pickles a little spicy, you can add a dried chile. While you are waiting for the water to come to a boil, wash and trim the asparagus. Trim it by holding each spear near either end and bending it gently. It will snap at exactly the borderline between the tougher bottom end and the more tender tip end. Save the bottom ends for making asparagus soup. You'll be using the tender part of each spear for these pickles. 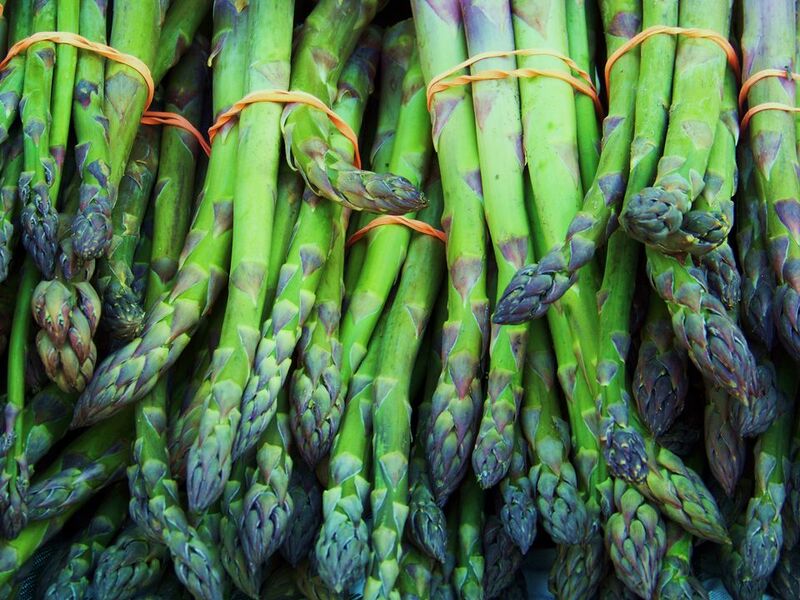 Once the pot of water is at a full rolling boil, drop in all of the asparagus spears and boil for only 15 seconds. Drain the asparagus in a colander and immediately transfer it to the bowl of ice water. Bring the pint of water, vinegar, salt, and sugar to a boil, stirring once or twice to dissolve the salt and sugar. Let the brine cool slightly while you load the quart jar (or two pint jars). Place the garlic cloves and one of the grape leaves (if using) into the bottom of a clean glass quart jar or a couple of pint-sized jars. You do not need to use special canning jars and seals, and you don't need to sterilize the jars. Put the jar on its side and start loading in the asparagus spears, adding the dill, mustard seeds, and remaining optional ingredients as you do so. Note that if you alternate tip ends up with thicker ends up, you will be able to pack more asparagus spears into the jar. Be sure to pack the spears in tightly so that they will not float up out of the brine. Pour the cooled brine into the jar over the other ingredients, being sure to completely cover the asparagus with the liquid. Secure the lid and place in the refrigerator. The tips of the asparagus spears may take on a pink hue because of the vinegar—this is completely safe and even attractive in the finished product. The pickles will be ready to eat in three days, but will be much better if you wait a week, and even better if you can wait two weeks before sampling. They will keep in the refrigerator for three to four months but will start to lose their texture after that. The relatively low ratio of vinegar to water in this recipe is part of what gives these pickles their bright, not overly pungent taste. Keep in mind, though, that this is less vinegar than you would need to make canned pickles for safely storing at room temperature. Keep these in the fridge.